Welcome to the Capstone resource page! Please explore all of the resources available to help transition state FFA officers into a new role in life. This online library of resources are intended to be flexible and diverse which include a podcast series, self-reflection guides, book study, mentor resources, and to state staff, a curriculum. A Raw take on Living and Loving with guest Audrey Denney – Do you live your purpose daily? Not just saying it, but truly living it? Audrey Denney has a clearly defined purpose that she can articulate easily to others and lives out daily despite the naysayers. Listen in as Audrey offers tangible advice on how to be authentically, purposefully you- in this raw take on living and loving others. 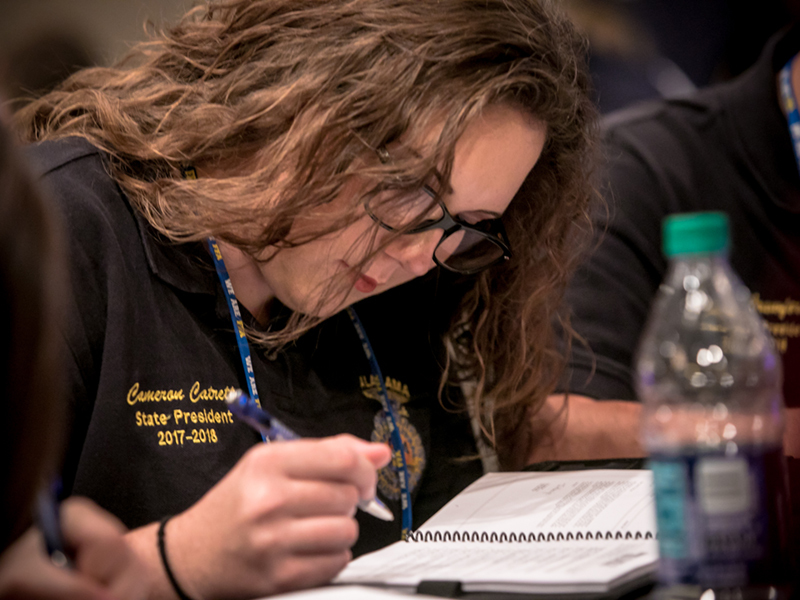 Intentional self-reflection is a great way to honor the experience of state FFA office, decipher what the experience provided and how it effects your future. Expect to be personally challenged as you unpack your year of service, and if you’ve identified a mentor, there are parallel resources to use together to deepen reflection and application. Engaging a mentor in this transition process is invaluable as you move to the next phase of life. Challenge your mentor to help you dig deeper into your state FFA officer experience by partnering the self-reflection and mentor guides. It is not required for you to have a mentor to complete the self-reflection guide but encouraged for a higher value capstone experience. Habitudes For The Journey: The Art of Navigating Transitions is coming to 2018-2019 retiring state officers as a gift from the National FFA Organization! A bookmark offering a suggested sequence, timeline, and focused reflection prompts for each image is provided with the book and the provided link. Your state may choose to provide an in-person, workshop-style training. It is meant to feel like a professional development experience found in many professional workplaces. Use this curriculum and materials as desired by the staff and/or state officers in your state. From FFA lesson plans to Personal development, the educator resource area is dedicated to helping you find FFA resources for your classroom. . You can also search our resources directly within Box.com at https://ffa.box.com/v/EdResources. Looking for Bell Ringers? Search for Bell Ringers in the search field below. Want to see all lesson plans available? Use the “Category” filter to pull up all lesson plans.